Coral Springs Police are looking for an identity thief who has racked up thousands of dollars worth of fraudulent purchases in several shopping sprees. According to police, the woman opened up a credit card account online on July 23 in the victim's name. The next day, she went shopping at a Kohl's in Coral Springs where she bought $370 worth of merchandise and gift cards, police said. Store surveillance captured the woman strolling through the store before making the purchases. 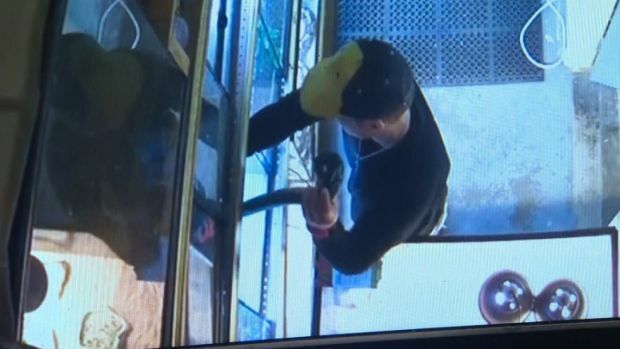 Workers had recognized her from other cases and she was approached by a loss prevention officer but fled the store before she could be caught, police said. Another surveillance video was taken from a camera at a Sunrise Target, where the woman can be seen with a man police say could be her boyfriend and accomplice. 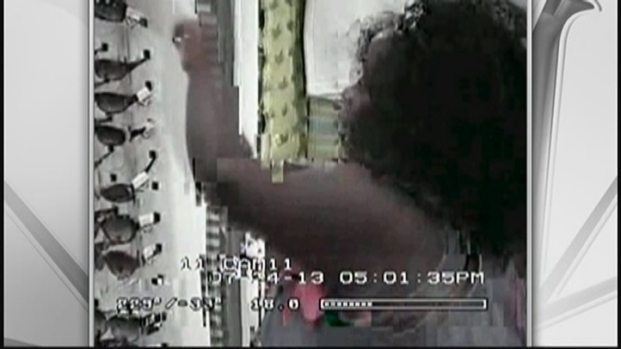 Video released by Coral Springs Police shows a woman who is a stolen identity fraud suspect. 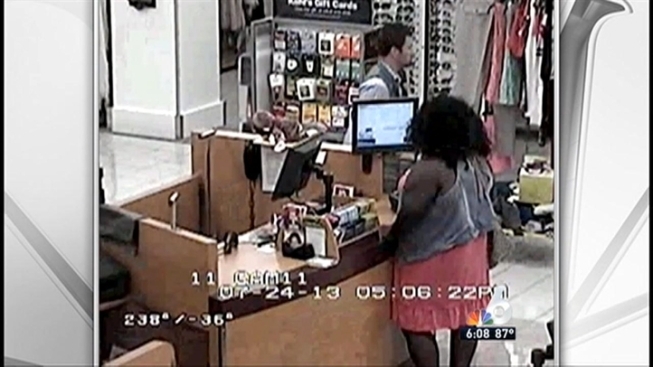 The woman has also made purchases at Macy's and Wal-Mart with the stolen identity, and has taken about $3,000 total. "She's gone as far as also creating a fake driver's license in that person's name," Coral Springs Police spokesman Lt. Joe McHugh said. The woman who had her identity stolen said she believes the information was taken from where she works. She spoke with NBC 6, but wanted to remain anonymous. "We went to the bank immediately, closed our checking account and then on the way home from the bank, started getting phone calls from Target, Kohl's, and other department stores where they had tried to open lines of credit in my name," the victim said. The woman said the crook is ruining her life by spending thousands in her name. "I just feel so violated," she said. "I fee like we're just getting our house broken into everyday." The woman is believed to have ripped off at least two different victims and is wanted in Sunrise for similar crimes, police said. She may have more victims who are unaware, McHugh said. "There could be more, absolutely, because a lot of people may not even be aware that their account has been opened," he said.